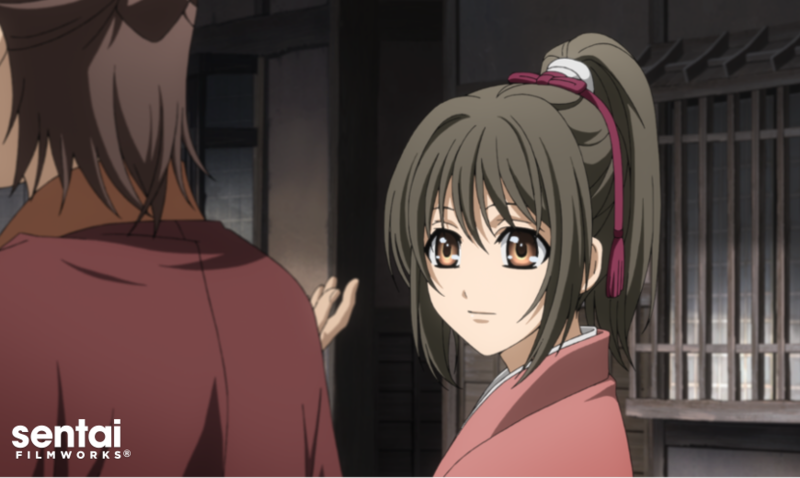 HOUSTON, February 16, 2016 – Sentai Filmworks is proud to announce its latest acquisition, Hakuoki ~ Demon of the Floating Blossom: Wild Dance of Kyoto. In this theatrical feature based on the popular game and anime series, Chizuru Yukimura heads to Kyoto in search of her father, a doctor who has disappeared. However, she soon discovers that the city hides deadly creatures within its shadows, and that a fearsome group of swordsmen, the famed Shinsengumi, help maintain a tenuous peace. As both parties attempt to find the missing doctor, Chizuru and the men of the Shinsengumi will discover things about themselves that they would rather have left a mystery. The film was directed and scripted by Osamu Yamasaki (Hakkenden: Eight Dogs of the East). Atsuko Nakajima (Get Backers, Ranma ½) handled animation direction and character design, with original character designs provided by Yone Kazuki (Kamigami no Asobi, Nobunaga the Fool). Hakuoki ~ Demon of the Floating Blossom: Wild Dance of Kyoto will be available through select digital outlets, with a home video release to follow.